God's Greatest Gift. 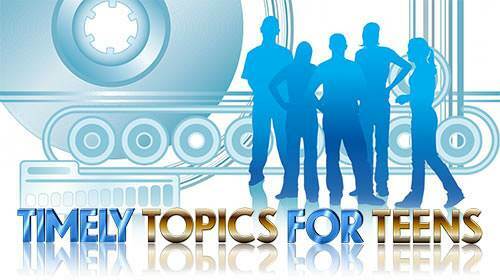 Lesson 2 in "Timely Topics for Teens"
A son born into the family of a king becomes at once the heir of great riches and the possessor of rare privileges. Even though it will be some time before he will be able to comprehend the extent of his riches or exercise his privileges, yet they are his at birth. Why? Because he was born into the family of a king. Likewise, the person who is truly converted to Christ becomes at once the possessor of priceless gifts and privileges because he has been born into the family of God. One of God's greatest gifts which we first enjoy is the forgiveness of our sins. When the police find they have nothing against a man, they say that he has no record. So it is with the child of God. He now has no record, for his sins have been blotted out by the precious blood of Christ. The Bible says, "…the blood of Jesus, his Son, purifies us from all sin." (1 John 1:7) And God not only forgives, He forgets. 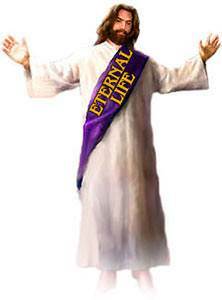 When we receive Christ, we receive eternal life because eternal life is in Him. 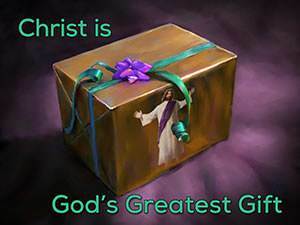 Christ is God's Greatest Gift. The truth pictured by this parable is inescapable. The vine and the branch are one. They are joined together in living union; they share one life. 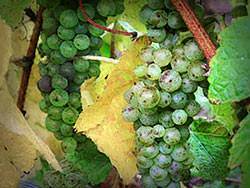 What is true of the vine and the branches is also true of Christ and the believers. We are joined to the Lord Jesus in living union. This is a great mystery, but nevertheless it is true. Let us consider the parable further. The Lord Jesus is the Vine. We are the branches. Just as the branches are in the vine, so we are in Christ. How did we get into Christ? We did not put ourselves into Christ. Indeed, there was no way we could do this. 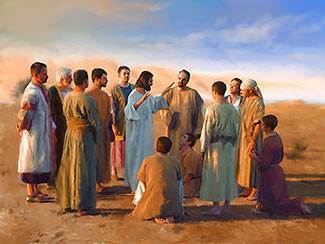 We could not make ourselves branches, and we could not join ourselves to the Lord Jesus. No man could do this for us. We are IN CHRIST! Say to yourself again and again,"I am in Christ." This is not something we are to hope for, it is something which God has already done for us. Regardless of how we feel, the fact is that God has put us in Christ, and we must let our faith rest on God's facts. Perhaps you have wondered how a sinner can hope to be accepted and welcomed by a holy, righteous God. The answer is—IN CHRIST. God sees us in Christ, and He accepts us completely because we are in His beloved Son. The Bible says we "belong to his dearly loved Son." (Ephesians 1:6 The Living Bible) We are in Christ and the Bible says that "in him we might become the righteousness of God." (2 Corinthians 5:21) As our representative He stands before the Father, and we are accepted in Him. In the parable of the Vine and the Branches, not only is the branch in the vine, but the vine is in the branch. The same life-giving sap that flows through the roots and the vine flows also through the branches. Without this flow of life, the branches would soon wither and die. This illustrates another wonderful truth: not only are we in Christ, but Christ is in us! There are two aspects of our union with Christ which can be expressed in two simple statements. First, I am in Christ. Second, Christ is in me. Because I am in Christ, I am accepted by God in Heaven. Because Christ is in me, I have power to live the Christian life here on earth. Christ is all my righteousness before God in Heaven, and He is all my power to live a godly life here on earth. Have you discovered how hard it is to live the Christian life? If you haven't, you will. As Christians, we know that there are many things that we should do; but even though we want to do them, we find we lack the power to carry them out. The Lord Jesus said that as Christians we are to love our enemies, to do good to them that hate us, to pray for those who mistreat us, and to rejoice when someone bad mouths us. These things are not easy to do. What is wrong? The trouble is that either we have not discovered the inner power of the Christian life or we are not making use of it. How foolish it would be to buy a car with a powerful engine, then spend the rest of your days pushing it! But this is exactly what many Christians are doing. Do you realize that when God redeemed you through the precious blood of His Son, He placed under the hood, so to speak, a powerful engine—the resurrection life of His Son? To realize that Christ lives in you is to discover the "motor." To begin trusting Him instead of trying to do it yourself is to stop pushing and to start making use of His power. The inner power of the Christian life is Christ. Say to yourself again and again, "Christ lives in me! Christ lives in me!" We live the Christian life not by trying to do the best that we can do but by trusting Christ to live His life in us. Stop a moment and think about it. What kind of life did Christ live here on earth? He lived a marvelous life of power—a life that was totally pleasing to God the Father. 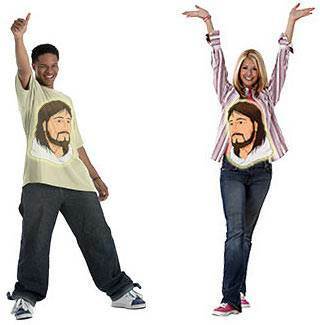 Jesus said, "I always do what pleases him." (John 8:29) The Lord Jesus has not changed. He never changes. He is the same yesterday, today, and forever. He will live His life in you now if you will trust Him to do it. We pray for power, or for purity, or for patience, but God doesn't send us little packages of these items. He has done far more. God has given us Christ, and everything we need is in Him. The Bible says, "For in Christ there is all of God in a human body; so you have everything when you have Christ…" (Colossians 2:9-10 The Living Bible) It is not what we are that counts, it is what He is! The Bible says, "It is because of him that you are in Christ Jesus, who has become for us wisdom from God—that is, our righteousness, holiness and redemption." (1 Corinthians 1:30) He is all we need. When we need patience, He is our Patience. When we need purity, He is our Purity. And when we need power, He is our Power. He is to us whatever we need. How does this work out in everyday life? Let us say that there is a certain person with whom you have always had difficulties. You know that you should be kind and loving toward him, but try as you will, your dislike for him always manages to show through. You grit your teeth and promise that you are going to control your feelings, but it does no good. What is the solution? The solution is to remember that Jesus Christ lives in you. Do you think that He would be kind and loving to this person? Of course! Then, trust Him to do it. 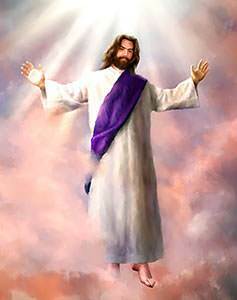 Just say to Him, "Lord Jesus, I don't love this person as I should, but you live in me and you love him. I am trusting you to love him through me." Then relax and trust Him to do it. Perhaps there is some sin in your life which you are unable to control. Again, remember that Christ lives in you. 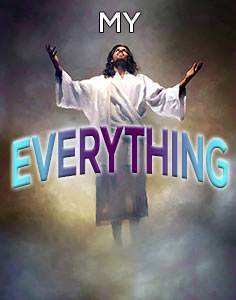 Do you believe that He has all power in Heaven and earth as He said He had? Since He has all power in Heaven and earth, do you believe that He has power to set you free from that sin? Then, trust Him to do it. 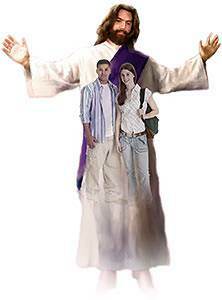 You trusted the crucified Savior for the forgiveness of your sins. Now trust the risen Lord Jesus Christ who lives in you to break the power of this sin. This is the great secret of the Christian life: Christ lives within us. Before you get out of bed in the morning, say to yourself, "Christ lives in me." Throughout the day, remind yourself, "Christ lives in me." Learn to count on His life in you. When you come up against something that you can't handle say, "Lord I can't, but you can." Remember that the Lord Jesus is the Vine. We are the branches. He says to us, "All that the vine is to the branches, I will be to you." 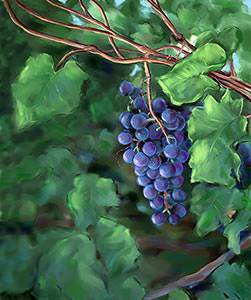 All a branch has to do is abide in the vine, and as it does so, it receives life each moment from the vine. This is the Christian life—Christ living His life in us. This is God's way. This is what the world needs to see.